Magento Product attributes are one of the most powerful features in Magento. You can create and customize attributes in Magento to manage complex arrays of product data. 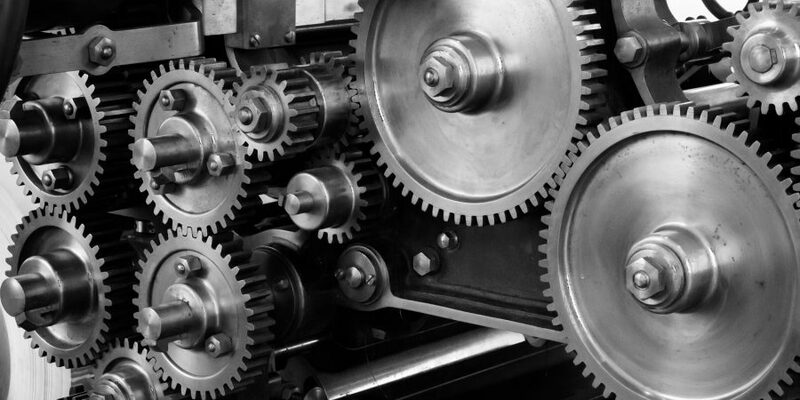 There are two kinds of attributes in Magento: System attributes and Custom attributes. System attributes are the ones that Magento includes by default. They are the necessary attributes that we need to begin our Magento eCommerce, like name, price, sku number, etc… The Custom attributes, on the other hand, are attributes created by the Store Owner, and will not necessarily be included in every Attribute set. Sometimes when creating custom importers, synchronizing products… you face a lot of issues related to Magento Product attributes. This guide is meant to help Magento 1.x developers to work with attributes, both using Magento code and querying directly on the database. 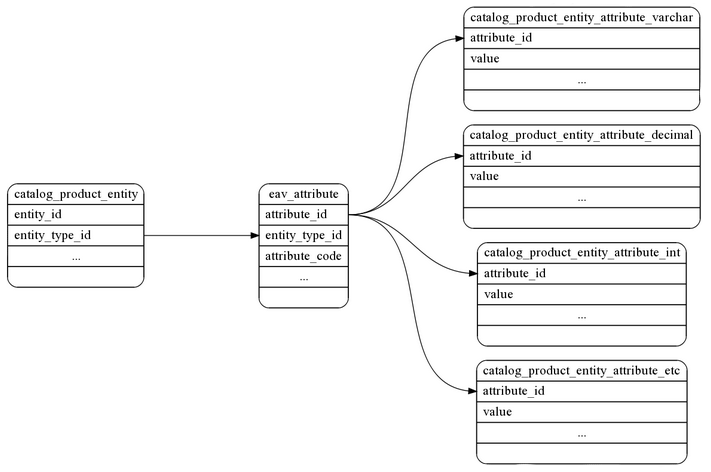 In Magento, all the models inherit from the ‘Mage_Core_Model_Abstract / Varien_Object‘ chain. What makes something either a simple Model or an EAV model is its Model Resource. EAV models have a resource that inherits from ‘Mage_Eav_Model_Entity_Abstract’. NOTE that in some cases using the EAV Model is not the fastest solution, that is the reason that Magento offers Flat Tables. This is a basic way to speed up the product collection. 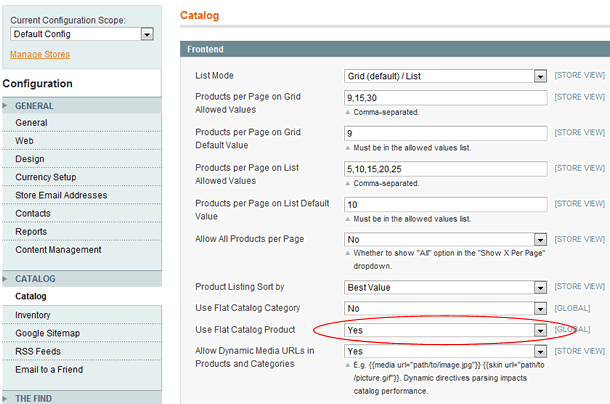 To enable it, go to Magento admin section and click on: System -> Config -> Catalog and Frontend. When flat tables are enabled, Magento will continue to store a product’s attributes as EAV so the store must be re-indexed in order for changes to appear on the front-end. Every store in Magento has it’s own flat table of products. If flat is enabled in Magento, the product collection will use resource: ‘catalog/product_flat’, php class “Mage_Catalog_Model_Resource_Eav_Mysql4_Product_Flat” without EAV database structure. SQL queries will be simplier, faster and you will have better performance on product listing. You can include your product attribute in the flat catalog, you just need to enable the ‘Used in product listing’ setting in Catalog > Attributes > Manage Attributes. This way, you’ll increase the performance of your catalog collections. To get the Attribute model by the attribute_code using the entity_attribute Model, you have to provide the entity_type (‘catalog_product’ for attribute products) because you can have same attribute_code for different entities. Often, you only need to differentiate if the attribute is limited to a set amount of options, or can be any value. This is important, because if you are retrieving an attribute from a product that can be any value, you’ll get the value directly, but if the attribute is limited to a set amount of options, you’ll end up with a number id. You can also customize the Source of an Attribute, and link it, for example to a custom entity, by extending the class ‘Mage_Eav_Model_Entity_Attribute_Source_Abstract’ and overwrite for instance the method ‘getAllOptions’, adding your custom Entity fields to the method. This way you could create an Entity ‘team’, and add to that entity fields like ‘image_shield’, ‘date_create’, ‘description’… and create a Custom Magento Product Attribute called ‘team’ as well, and link the Source of that Attribute to the entity ‘team’ Model. This can be really helpful in case your attribute source is misconfigured. Using the Product Model you can get directly the attribute values of your product. This small code can be really useful to retrieve any kind of product attributes. Sometimes you need to query directly to the database to create reports or directly to improve the performance of some parts of your code. If you query directly to flat tables, you’ll end up with problems while reindexing your Magento store. Note that the TYPE can be taken from the column ‘backend_type’ of the entity table ‘eav_attribute’. When developing Magento modules, you’ll often find yourself in the situation where you have to create an specific product attribute. As you may know, you can use an installer script to create product attributes. On this case, we will use an install script to create a product attribute. EAV and Flat tables : Activating the flat tables is a big boost in performance, because instead of a lot of joins to get the product attributes, Magento only reads from one table. It has been the way to speed up data access from EAV since EAV was conceived. And these problems could damage some Magento features like import/export. Hope this guide and code examples help someone. Your feedback and comments are very welcomed!